4. 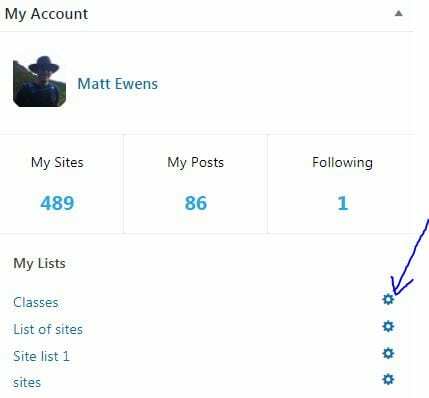 You’ll need to locate the URL class address for each class that you want to include in your list, do this by visiting the ‘My Site’s area and clicking. This will take you to a page showing all the sites that you are a user on. 6. 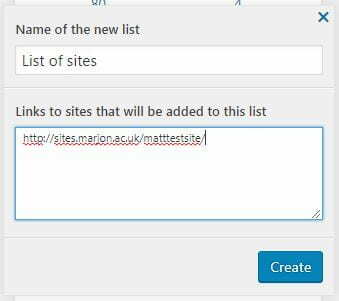 Head back to your new list and in the bottom box add the URLs for any class sites that you want including in the list, separated by a carriage return and click on ‘Create’. You may like to then create a browser bookmark for your list page, so you can quickly access it. In addition, you may like to create multiple lists for different areas. 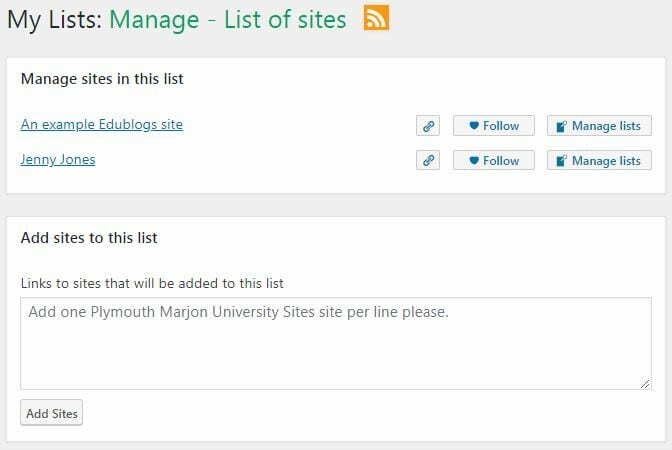 The good news is that any site you switch to from your ‘My Sites’ area will always display your lists in the bottom right-hand side of the screen.